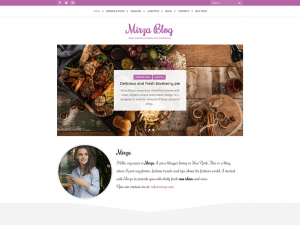 Mirza Blog is a responsive WordPress theme with clean, elegant, unique and modern design. It is designed to work for all kinds of blogs: personal blog, business blog, adult blog and so on. With full Gutenberg (and Classic) compatibility, you can now embrace the future of WordPress with Mirza Blog. Both box width and full width layout are available in this theme.